Take a moment to think about your friends. How many friends do you have? How many of those friendships do you think are reciprocated? Now take that number and cut it in half. That’s right: Only about half of all our friendships are mutual. 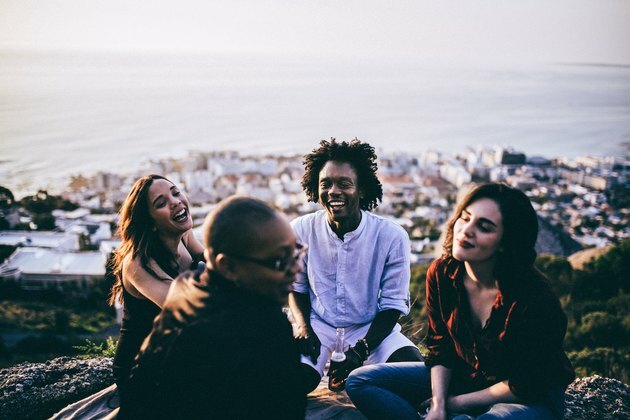 Massachusetts Institute of Technology researchers studied how the directionality of friendship affects social influence, a key factor in everything from political uprisings to getting someone to stop smoking. According to them, when we call someone a friend, we assume by default that our feelings are reciprocated. Sadly, they found that feelings of friendship were reciprocated only 53 percent of the time. 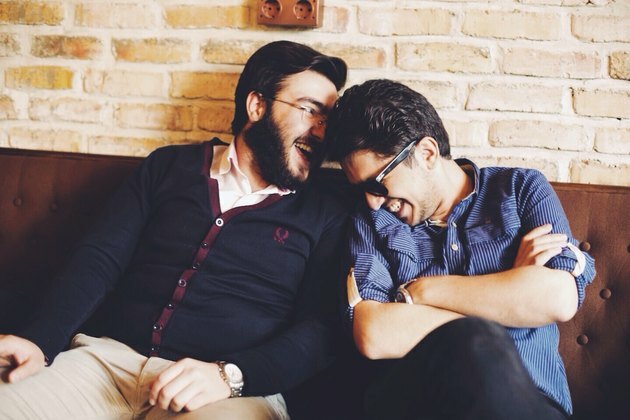 Their findings suggest that people lack the ability to understand friendship reciprocity. This, they explain, might be because the possibility of knowing that someone doesn’t think of you as a friend could negatively impact your self-image. However, the New York Times offers a different explanation. Maybe we don’t know who our friends are because we don’t know what friendship is. 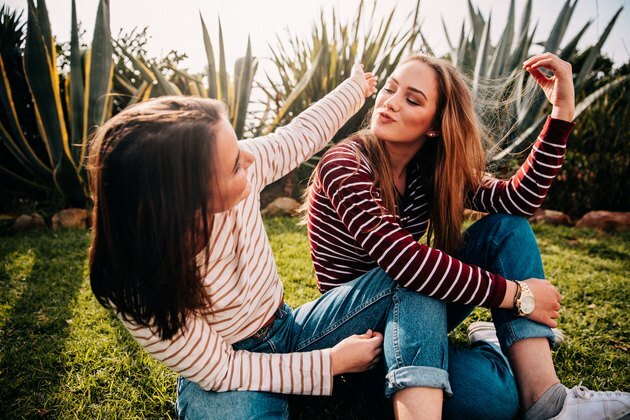 So if you’re suddenly reevaluating all of your relationships, here are some questions you can ask yourself to determine whether someone is really your friend. 1. Does this friendship serve a specific purpose? If you answered yes, you might want to rethink this friendship. According to Vassar College English professor Ronald Sharpe, who co-edited “The Norton Book of Friendship,” people aren’t “wasting time” with their friends anymore. “People are so eager to maximize efficiency of relationships that they have lost touch with what it is to be a friend,” he tells the New York Times. Your lab partner or lunch buddy might not be as close a friend as you think. Instead, look to the people who can turn wasted time into precious memories. 2. Would this person make your list of top five best friends? In the grand scheme of life and death, our time in this world is limited, meaning that we can only invest in so many relationships. To put it into perspective, British evolutionary psychologist Robin I.M. Dunbar theorizes about different layers of friendship. Imagine a bunch of concentric circles stacked on top of one another like a bull’s-eye. Your innermost ring of friends at the center of the bull’s-eye is the smallest, consisting of only one or two people. These are your most intimate relationships that you maintain daily. The next layer can hold up to four people whom you care about deeply and with whom you interact on a weekly basis. As the rings expand outward, the amount of time and emotion you invest decreases. Who’s on your top five list of best friends? Who isn’t? 3. Can you be vulnerable with this person? Sharing means caring. One study found a strong positive relationship between self-disclosure and liking. People who partake in more intimate disclosures are more popular than those who engage in fewer. In turn, people will probably like someone more as a result of confiding in them. Lastly, people tend to divulge more to people they initially take a liking to. So if a person lets you in on their secrets, it probably means they like you. And if you want to be liked more in certain relationships, open up. 4. How much emotion do you express when you’re around this person? If you tend to hide your true feelings around someone, they’re probably not a friend. University of Michigan researchers Jane Dutton and Emily Heaphy determined several factors that determine high-quality connections in order to investigate how relationships impact organizations. They named “high emotional carrying capacity” as one of those indicators. Emotional carrying capacity involves both the amount and range of emotion expressed. 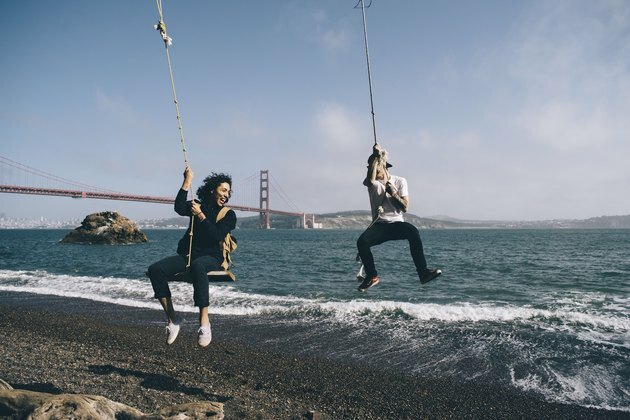 People with high-quality connections express more emotion with each other, and they express both positive and negative emotions. If you can be completely emotionally honest around someone, that person could be considered a real friend. 5. Has your friendship overcome challenges? Dutton and Heaphy use the term “tensility,” or the extent to which something is capable of being stretched, to describe this aspect of high-quality connections. It refers to how flexible your relationship can be to accommodate change. For example, a strong friendship might be maintained through regular Skype and FaceTime calls if one of person moves to a different state, while a weak one might fizzle out. Think about whether you and your friend have ever overcome any conflicts. How does your relationship respond to change? 6. Can you be active and creative with this person? Last on Dutton and Heaphy’s list of features that constitute a high-quality connection is the “degree of connectivity.” This measures how open your relationship is to new ideas and influences. “Teams with a high degree of connectivity display an atmosphere of buoyancy, creating expansive emotional spaces that open possibilities for action and creativity,” the authors write. Strong friendships empower individuals to develop creative ideas and act on them. Do you and your friend inspire each other? If not, then perhaps you’re not as close as you thought. How many friends do you think you have? Did this article change your opinion on any of your friendships? What are some of the qualities of your strongest relationships? Let us know in the comments section!